In 2008, I graduated with honours from Major Pratt School in Russell, MB. Afterwards, I came to Brandon University where I have been working towards a B.Sc. with a major in Biology and a minor in Psychology. Throughout high school I kept busy with activities such as volunteering, holding executive positions in the local 4-H club, obtaining a black belt in Tae Kwon Do, getting to Grade 8 in piano, and becoming certified to be a lifeguard. I am so thankful to have received several scholarships including the Charles W. Burns scholarship in pre-medicine. I currently volunteer at a nearby care home and the humane society. I have been a member of BUZS (Brandon University Zoological Society) for three years and have held the treasurer position for two years. I have also been involved with orientation for new university students for the past two years. I grew up in the small town of Russell MB as the oldest of three children. I always enjoyed school and extracurricular activities. I played baseball, floor hockey, badminton, and participated in figure skating and Tae Kwon Do. I took piano since a young age and reached a Grade 8 level before graduating high school. I was also in the youth singing group in town called Jazzy Juniors, and participated in the Northwest Marquette festival for many years in singing, piano, and speech categories. I was also in the local 4-H club for many years, in which I held executive positions of secretary, treasurer, and vice president. Volunteering has always been a part of my life and I have been involved in decorating at church, helping at the hospital, and have helped set up and participate in the cerebral palsy bike rally. I always enjoyed going to school and keeping up with my studies, so I knew that secondary education was the route I wanted to take. Science was always one of my favourite subjects and in high school, at which time I enrolled in physics, chemistry and biology. Every moment of biology was great, especially the anatomy and physiology sections. Since then, I have known that science was for me and that I wanted a career that involved aspects of anatomy and physiology. My philosophy in life is to live each day to the fullest. You only live once so make time to contribute and give back, not just to others but also to yourself. In the future, I see myself having a fulfilling career, likely in the medical rehabilitation area, and keeping busy with volunteering. Melissa Wishart has achieved a black-belt in Tae Kwon Do, plays the piano and has been active in 4-H in and around Russell, Manitoba. She is well on the way to completing her B.Sc. with a major in Biology and minor in Psychology. While maintaining a strong academic profile, she continues as a lifeguard at the YMCA and supervises pool activities in the summer. She volunteers at Valleyview Care Centre and is very active in the annual Cerebral Palsy Bike Rally, in addition to developing a knack in baking decorative and tasty cupcakes. Internally to BU, she is a veteran of helping to coordinate and execute the BU new student orientation each year. In addition she has served actively for several years on the executive of the Brandon University Zoological Society in the Biology department. 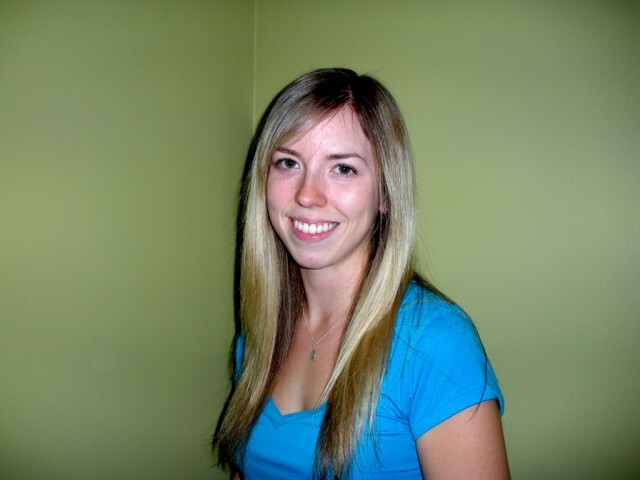 Melissa is keen on pursuing a Master in Physical Therapy degree at the University of Manitoba. She is an excellent role model for more junior students.